After spending 50 years of his life in captivity, Gajaraj, the slave temple elephant of the royal family of Aundh, Satara was finally rescued on June 28. While Gajraj was fortunate to have attracted the attention of the Maharashtra forest department and local non-profits many elephants are not as fortunate. Most of India’s 3,500 captive elephants are used to entertain tourists, says the latest study by World Animal Protection, an international non-profit working in the field of animal welfare. The report, “Taken for a ride” says that in India, most of the 3,500 elephants in captivity are used for some form of riding activity. It adds that around 116 elephants “continue to endure abuse to entertain tourists at Amer Fort in Rajasthan”. The situation of elephants in India is part of the report’s focus on captive elephants across Asia. The organisation investigated the situation of elephants and found that in Asian countries, tourism demands are leading to increasing captivity of elephants. “World Animal Protection investigated the conditions endured by 2,923 elephants at tourist venues in Thailand, Sri Lanka, Nepal, India, Laos and Cambodia and found that 77 per cent of them were treated appallingly,” the report says. “The cruel trend of elephants used for rides and shows is growing—we want tourists to know that many of these elephants are taken from their mothers as babies, forced to endure harsh training and suffer poor living conditions throughout their life,” World Animal Protection country director, India, Gajender K Sharma, said. The report found that the situation is most worrisome in Thailand. 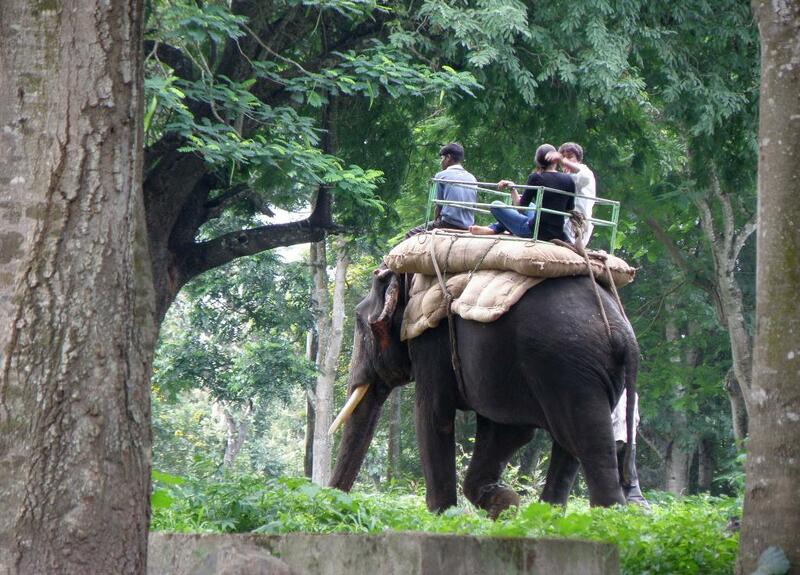 The country is using twice as many elephants in tourism than all the other Asian countries combined. Tourism to Thailand doubled from 15.9 million to 32.6 million visitors between 2010 and 2016, contributing to a 30 per cent rise (1,688 to 2,198) in elephants held in captivity for tourist activities. The research also found that several venues in Thailand cater to thousands of visitors daily, generating estimated profits of tens of thousands of dollars per month from exploiting Asian elephants—an endangered species. You seem to have messed up the numbers. According to the report there are 3000-4000 captive elephants in India out of which around 650 are used for tourist entertainment purposes. Though such captivity of even one elephant is appalling, it is nowhere near what the headline of this article states. I had expected higher standards of reporting from DTE.